Hurry over to Amazon for a hot deal on Sprout organic fruit snacks! As low as $12.56 after coupon and 20% S&S, so just $1.26 a box! 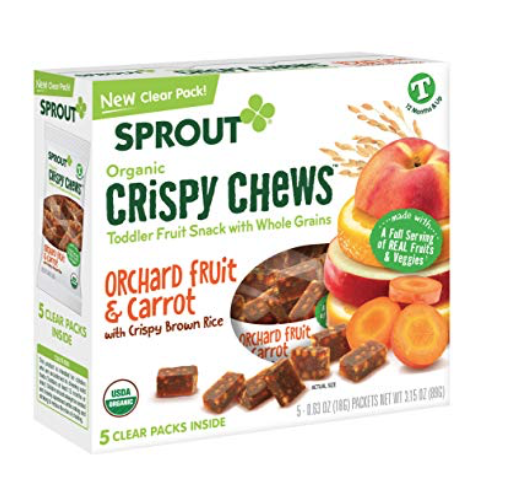 As a price comparison, Target sells boxes of these organic fruit and veggie snacks for $4.49 a box, so this is a super hot price! I grabbed this deal. I give my kids each a pouch of these fruit snacks at church as a snack each week. They love them and I love that they are fruit juice sweetened with no added sugar, and that they also contain veggies. Even better, this deal is resetting, so you can come back here and buy more! This is the best price I’ve ever see on these!